Ken was managing and playing drums in a fairly successful university group known as The Talismen Beat Unit. When Ken departed from Glasgow University, he took time off playing to establish his “day job” as a film cameraman/sound recordist in a small Glasgow film and recording company. Brothers, Ian and Eric McCredie, had been playing together in and around Glasgow since the early sixties in a band called The Dominos. It was at this time that Ian and Eric approached Ken to join their outfit. He was not really interested in the music business any longer and declined their offer. A year or so later, Ken received a phone call from Ian to see if he would change his mind about performing and join a small group, to be called The Electrons, playing interval breaks in one of Glasgow’s best known dance halls; The Dennistoun Palais. Missing his time behind a drum kit, Ken agreed and the three formed a musical relationship which, together with a petite, vivacious blonde (right) from a small mining village in Lanarkshire, was to artistically ravage the International Music Business in the years to come. 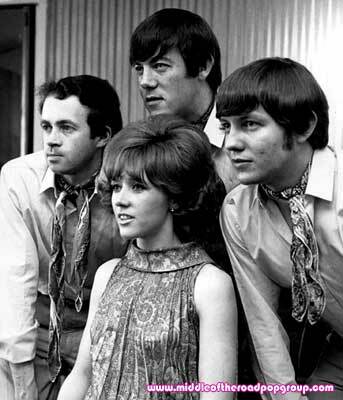 After the season at the Palais ended, Ken, Ian and Eric continued playing together backing a Glasgow girl, Jan Douglas (right), who had had a hit single in the British Charts a year or so earlier. 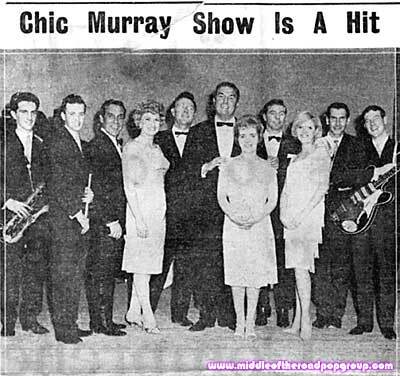 Together they performed as Jan Douglas and the Douglas Boys and fulfilled a summer season in a seaside show featuring such Scottish stalwarts as the classic comedian, Chic Murray and the darling of the Scottish blue rinse brigade, Sidney Devine (right). When the summer season at Leven and North Berwick ended, Ian, Eric and Ken joined a small dance outfit known as “Karen and the Sophisticats” and played regularly on Saturday nights in Glasgow city centre. One night a week was not sufficient to satisfy the ambitions of now 3 firmly established friends and musicians and so the 3 pals managed to secure work as a trio known as “Part Three” in and around Glasgow. During these highly experimental days, Ken was encouraged to harmonise as a third voice with Ian and Eric both of whom were already experienced vocalists. 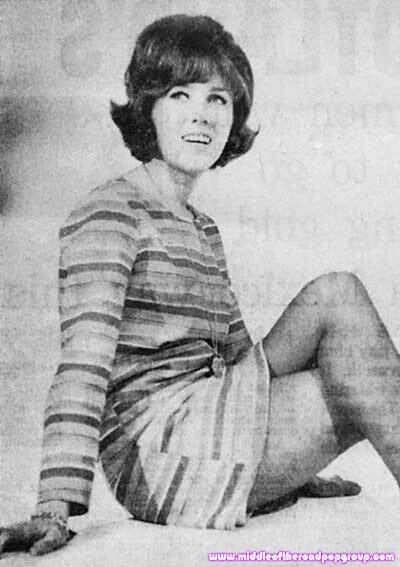 When Karen had to take time off due to illness, Sally entered the fray in 1967 as a temporary replacement lead singer. Sally was due to leave for a life in America after 3 months but she changed her mind when the boys asked her to join Part Three. Part Four was now formed and this time everyone sang. 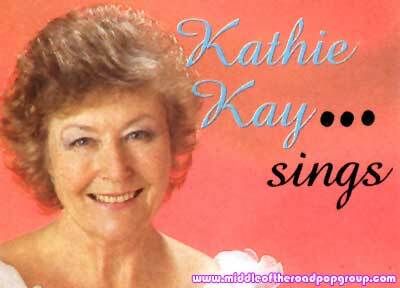 The seeds of a successful vocal group were sown and soon they were in demand all over the central belt of Scotland. By this time, the successful 4 were spotted by an astute management organisation who suggested that they become a speciality band and dress up in latin gear to complement the half dozen or so latin pop songs they included in their popular repertoire. 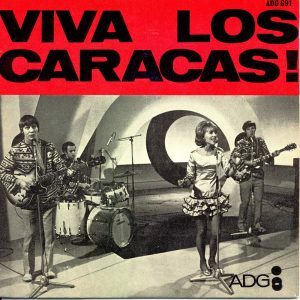 Los Caracas was born and the next stage in the group’s career began. For the next three years the band travelled the length and breadth of the UK appearing in night clubs and restaurants and finally winning a spot on a very popular national TV talent show known as Opportunity Knocks. 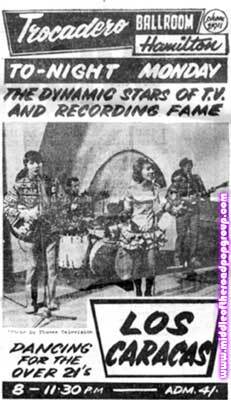 They appeared on the show 4 times making their final appearance on the All Winners programme in October 1968. It was obvious that the band could no longer continue to perform part time since they were now very much in demand all over the UK. Sally, Ken and Eric turned professional with the group in 1969 but it wasn’t until April 1970 that Ian, always at the tail end, took the plunge and joined them full time. After turning down offers of work from London Agents they decided to hook up with two croupiers from South America, who were working in a Glasgow Casino. (Sounds like good judgement!). 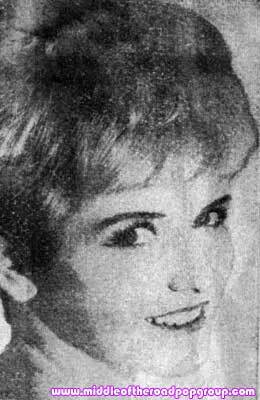 Before embarking on what was planned to be a trip to Argentina, they took an engagement on a cruise ship to the Caribbean, backing Kathie Kay, a well known British Big Band singer and wife of the man who was their friend and much-loved UK impresario, Archie McCulloch. They were also given their own spot in the cabaret which was to be a precursor to their future act, but the name had to change. It was not considered appropriate to migrate to South America with a Latin American name. Ken came up with the idea of the name Middle of the Road and all four agreed to adopt the new image, still keeping the Latin content of their set but putting more of an accent on middle-of-the-road pop.